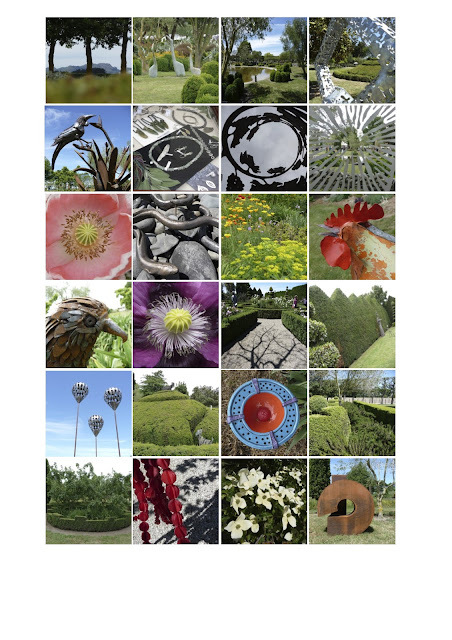 .... for the “Wildflower Sculpture Exhibition” is the “Round Pond Garden”, just south of Hastings. The exhibition is a biennial event and raises funds for the local hospice. Over 60 artists were invited to contribute to this special 5-day show, and I am priviledged to be one of them with my nature inspired silver jewellery. The centre of the exhibition is a huge field of wild flowers with adjoining arrangements of an impressive variety of plants, shrubs and trees which form frames or the background for more than 200 sculptures. An unbelievable arrray of hand-shaped and man-made creations in cultivated natural surroundings! My photos can give only a small impression of an amazing event!